In today’s fast paced world and with our busy lifestyle’s that involve constant rushing around, car accidents are more likely to happen than ever before. If you are the unfortunate victim of a car accident, imagine how much worse it will be if the other driver falsely blames you. Here is where a car Dash Cam camera will prove invaluable. Available at a very low cost, a Dashboard Camera will sit on your screen or rear-view mirror and record everything that happens on the road ahead of you. They cleverly just keep recording from when you turn on the ignition until you stop at the end of your journey. If you are involved in an accident or witness something happening (such as bad driving, another accident, or any other crime) then you can replay/download that footage and send it to the police or your insurance company, or even put up on YouTube to shame the perpetrator. Dashboard Cameras are generally placed on the front windshield (just like a satnav) and record. But there are also rear view cameras available for your car as well. Once you have a camera setup in your vehicle it will make your driving experience a lot less stressful. Although dash cameras can be fun as they can record all kinds of incidents and events, the main reason you need a dashboard camera now is for security, as the evidence it will give after any accident or hit-and-run could prove invaluable to your insurance companies or if you end up going to court (although with camera evidence, the chances of going to court will be much less as the guilty party is likely to settle in the face of overwhelming evidence). The WheelWitness HD PRO PLUS is the best dash camera on the market today. This device uses the latest generation SONY EXMOR IMX322 CMOS sensor combined with six high-quality layer lenses to record crystal clear video and image quality during the day and at night. With this dash cam, you can record videos in 2K for up to four hours. 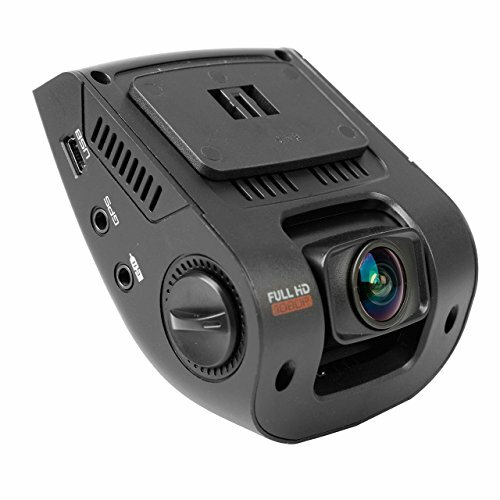 Additionally, it offers 2306x1296p video resolution, which allows the camera to capture even the most exquisite details, like a small street sign or number plates. What Types Of Dashboard Cameras Are Available? There are various types of car dashboard cameras available to suit your needs. Prices range from under $20 for a budget model to over $300 for a premium dash cam. We recommend staying away from most of the lower priced budget dash cams as they offer inferior video quality compared to more expensive units. How Do You Choose One Of The The Best Selling Car Dashboard Cameras? Why don't you purchase a dashboard camera for your car now to make sure you have the video evidence you need. It will help you to protect yourself from increased insurance costs, resulting from accident claims, hit and run drivers and road rage incidents. Increasingly, a dashboard camera, fitted in your car, is becoming essential. The tips below will help you to find a top rated dashboard camera with the latest features for your particular needs and budget. So before buying a dashcam car camera, you may wish to consider these important points first. Now let’s see what makes a great dashcam camera. Once you buy a vehicle camera you will need to be able to install it into your vehicle nice and easy. Usually the dash cam is put on the windscreen or behind the rear view mirror, so it is important to get a long power cord as it needs to reach to your cigarette lighter for power. You also want a cam that comes with clear instructions as you usually need to scroll around menu’s. Most people do not want a massive camera stuck to the windscreen that takes up most of your viewing space and screams out, “I am an expensive dashcam, come and steal me”. Most dash cams are small and discreet, but some are big and bulky – these we want to avoid. For a dashcam to be of any use it needs a good video quality so that the recordings can be clearly seen. In any incident you may want to see clearly people, faces, road signs, and number plates etc. Some lower priced camera models record in standard definition (also known as SD) which is 640×480, these days you really want high definition (HD) to show all that extra detail. You should buy a camera that supports 720p resolution (which is 1280×720) or preferably 1080p (which is 1920×1080). Most cams come with an integrated LCD screen so you can review recorded footage in your car. The bigger the screen the better you can see, although some cameras have no screen at all. One feature that many people overlook is the need for decent quality recording when it’s dark. Everyone drives at night sometimes and in the dark there is more likelihood of an accident occuring. As you will be driving with headlights on, most decent cameras can record in darkness but some cannot. Some dashcams come with a gimmicky night vision LED’s which are said to help night time recording, but they don’t work and are usually on cheaper cams that cannot really handle recording in the dark. A GPS feature will record your exact position and the speed you are doing. But a GPS adds size to the camera and some require external modules as well. 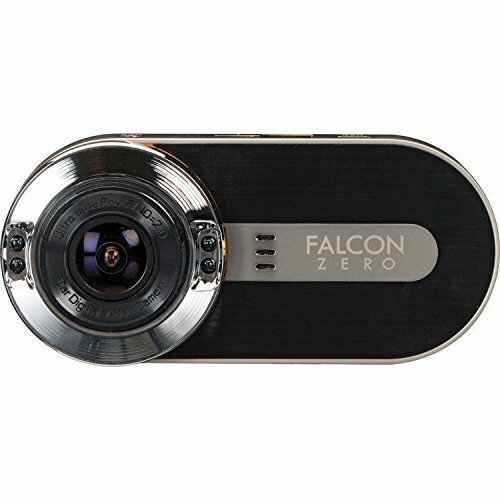 Dual Camera Dash Cams consist of a front facing camera along with a rear facing camera that provides both front and back video coverage. Installing the rear camera using involves running a wire from the dash or front window mounted unit to the camera located on the rear window. Standard dash cams only have a single camera which records the front view through the windshield, but dual camera models exist which can also show the view inside the car or looking out the rear view window. Another useful feature is whats known as a G-sensor which starts recording if a stationary vehicle gets hit by a sudden impact. Any motion will set-off the record feature and the footage will be saved from any accidental deleting so you can review it. The motion detection feature when set, will only record video when the vehicle is moving. This feature is useful for cars that do not cut power to the 12v cigar lighter when the ignition is turned off. All the dashcams we review have an automatic switch on and turn off feature. The camera starts recording as soon as you turn on the car using the ignition key. It also switches recording off as soon as you stop the cars engine. Some dashcams show the date and time on the screen which is useful if you want to use the video footage as evidence of an incident. The main function of the WiFi is to allow you to use your smartphone as a screen to review the recorded camera footage. It is usually available on a high-end dashboard camera. This feature allows you to keep your dashboard camera running while your car is parked. As a result, you’ll have video footage in the event of any hit-and-run accident or act of vandalism. This feature warns you when the dashboard camera detects that you are traveling too close to the vehicle in front. It uses GPS to determine your speed and works out an approximate safe. Normally, the FCWS activates automatically when your vehicle speed exceeds 30 mph. The camera continuously watches the striped and solid lane markings of the road ahead. LDWS alerts you when it detects that your car is about to veer out of your lane and warns you to get back into lane. Car dashboard cameras are still quite a new accessory. As they become more popular, they will improve, have better video frame-rate, better video quality and more features. However, there is already a wide selection of high quality, feature packed dashboard cameras on the market today. We hope that this article can inform you of the functionality available to help you make a more informed choice. Still Unsure Which of The Best Selling Car Dashboard Cameras To Choose? Take a look at our How to find the best Car Dash Camera.